People regularly post on the Horley Town Facebook page: ‘Can anyone recommend . . . a local plumber, electrician, carpenter, locksmith, etc. ?’ People want recommendations. They want to find someone with a good reputation, and they usually want to find someone local. 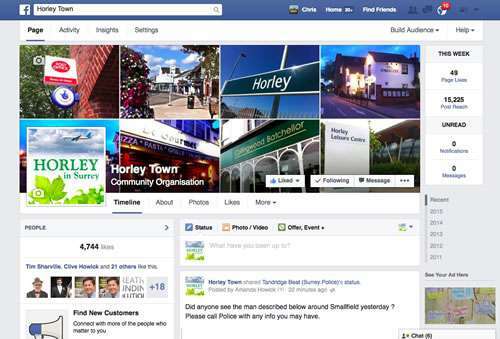 So this is the page where each month we will list the local companies you recommend on the Horley Town Facebook page. Every month we will tally up the questions asked on our Facebook page and the recommendations you make. We make no money from this. It’s free. The list will be just the companies you recommend.